What's Beyond Forks? 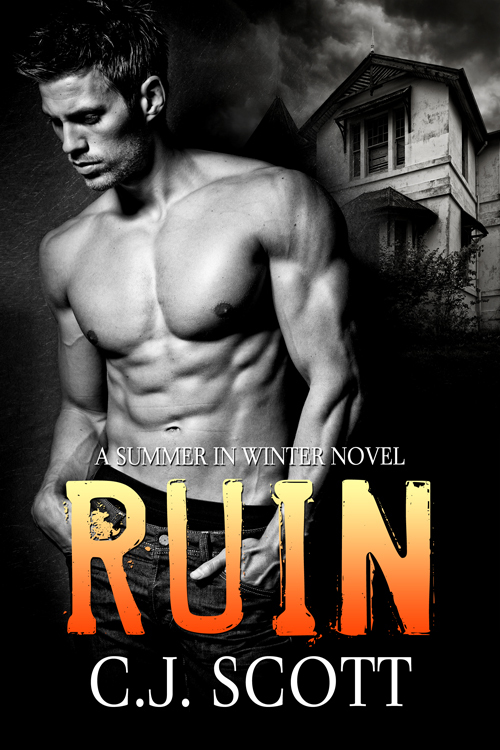 : Ruin by C.J. Scott Blitz & Giveaway! Ruin by C.J. Scott Blitz & Giveaway! 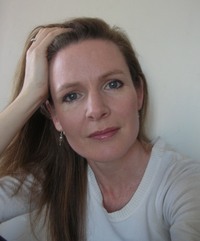 Kate Bell isn't perfect. Not even close. The things she got up to in college would cause her parents to fall off their pedestals in shock. Home for the summer vacation, Kate settles in for a long, boring break in the tiny backwater of Winter with folks who still treat her like she's twelve.Then Ben Parker arrives and suddenly Winter gets interesting. He's hot, mysterious and good with his hands. Kate falls for him instantly, but her cop father warns her to stay away. But how can she stay away from someone as compelling as Ben? Someone who thinks she's perfect just the way she is? He gave me a sad smile. "I'm not a monk, Kate. If you kiss me...I can't stop there." His words probably had the opposite effect to what he wanted. It spurred me on, because now I knew he was on the brink of giving in. On the brink of falling into the abyss with me. I touched his face. His jaw was rough from his stubble. A small muscle pulsed against my fingers. "Kate, please," he whispered. But he didn't pull away. Didn't stop me getting closer. I stroked his lower lip with my thumb, and he groaned deep in his chest. He brushed my hair off my shoulder. His fingers caressed my neck, sending tiny tingles racing down my spine. My heart hammered against my ribs to the tune of kiss me, kiss me, kiss me. I wanted this man. Wanted to know him intimately. My head told me it was impossible that I could feel this way after such a short time, but my heart was ignoring it, lost in a mad, chaotic rhythm of its own. Ben's hand cupped my hip, his other pressed against my back. It was all the encouragement I needed. I closed the final small gap between us until I was crushed against his body. It was hard and ridged, warm. Our lips met in a kiss that turned my legs to jelly. My knees buckled, but Ben's arms circled my waist. He held me there, firm yet gentle, like I was something precious. I felt dizzy and weightless. The world spun one way and I the other, out of control. I didn't care. It was exactly what I wanted to feel. Exactly how I'd always imagined a kiss should feel. Yet I wanted more. The kiss filled me with longing that clawed at my heart. It wasn't enough. Not nearly enough. To learn more about C.J. Scott and her books, visit her website.You can also find her on Goodreads & Facebook.